Executive Bus & Shuttle Rental for Chicago weddings, corporate outings + more - Top Fleet Inc. Chicago Limo Service. 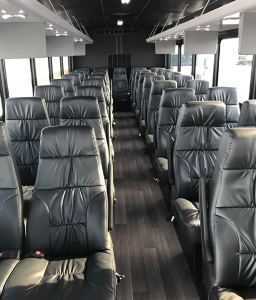 Our executive bus Rental features comfortably spaced reclining hi-back seating, some with footrests, plenty of overhead storage as well as extra-large rear luggage storage for those long trips. This vehicle equipped to have your meeting on board without wasting any time. You can rest assured you’ll arrive to your destination on schedule and comfortably. This is a great choice for corporate events, weddings, organized associations or any other event where you need transportation for up to 22 passengers. Top Fleet Inc. is the best company to entrust your Chicago transportation needs to. Whether you choose our executive bus or motorcoach bus, you will always arrive on time, in style and comfort. Top Fleet Inc. has a coach bus available as well. 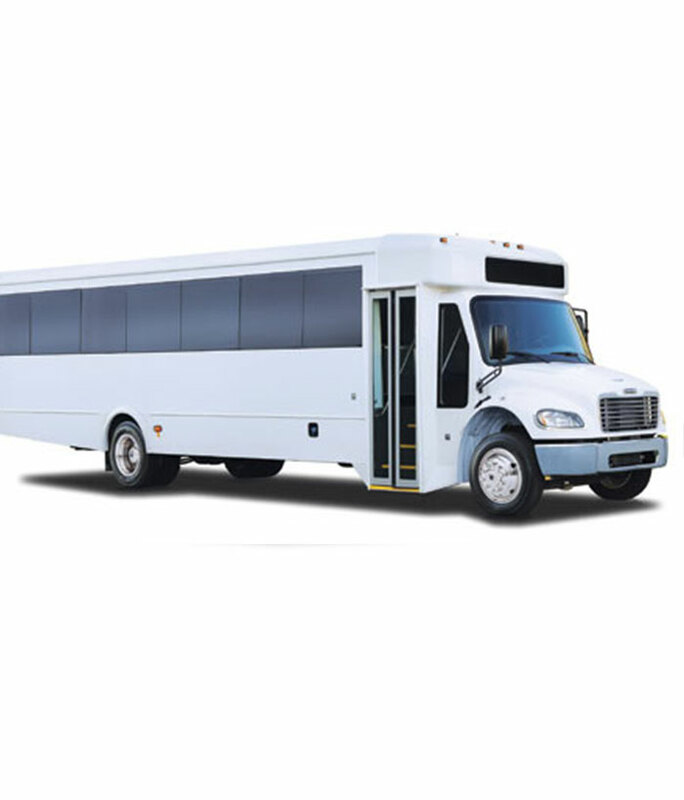 Executive Shuttle Bus Rental in Chicago – by Top Fleet Inc.